In food processor, place Parsley-Cilantro Aioli ingredients. Cover; process. Refrigerate. In 10-inch skillet, heat oil over medium-high heat to 375°F. 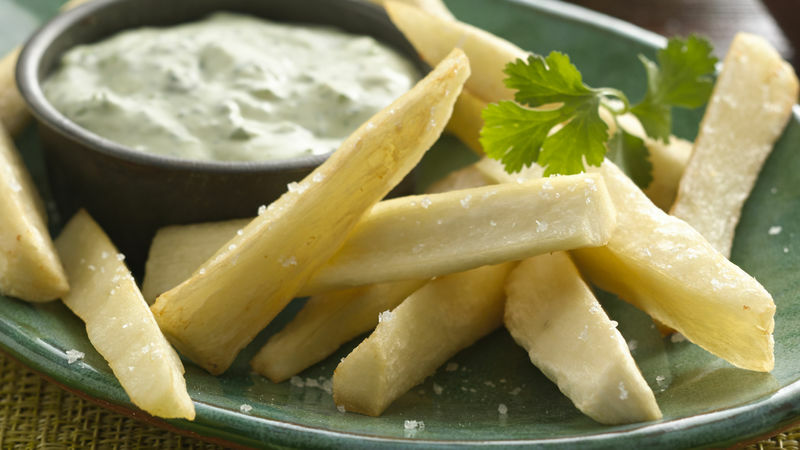 In batches of 10, fry yuca pieces 1 to 3 minutes, stirring carefully to keep fries from sticking together. (Fries will turn from white to yellow but will not turn golden.) Serve warm with aioli. If there is fresh yuca in the grocery store, it has to be peeled, blanched and cut before frying. Serve with your favorite meat and a mixed green salad. A delicious take on French fries with a tasty aioli. Enjoy!